I cherish the opportunity to activate public spaces with art in order to engage viewers and to enrich the visitor experiences. My process involves analyzing the site, its function and users, and the various elements relating to it. 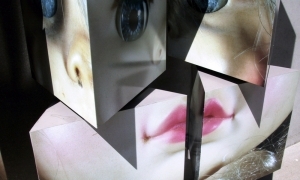 My works remain in a dialogue with the specific space while also reflecting my artistic voice, which is both playful and serious, and often rooted in photography. Visual beauty is important to me, and I aim to leave aspects of the work mysterious to allow for viewers to make their own discoveries. Whenever possible, I seek possibilities for visitor interaction with my art. I hope to disrupt everyday routines by providing moments of surprise and by inviting conversation. Placement, abstraction and suggestion are the most important considerations as I create art for public spaces. 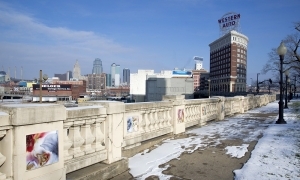 Visible from the windows of the City Hall of Kansas City, this installation provided visitors an opportunity to reflect on the role of parks in childhood. 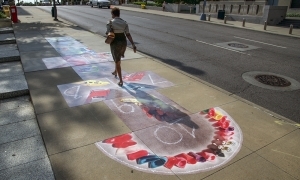 I created a larger-than-life rendition of the hopscotch grid filled with photographic imagery, which I merged into the sidewalk surface to invite audience interaction and engagement. 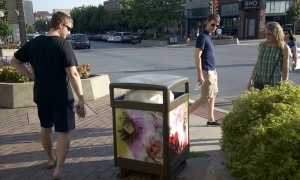 Inspired by the local shops and the active pedestrian environment, I created site-specific photographic collages for the public waste receptacles. I incorporated imagery from the surroundings to highlight the nearby vendors. Petticoat, a garment, typically worn under dresses, is often designed to be visible, or at least partially or occasionally seen. 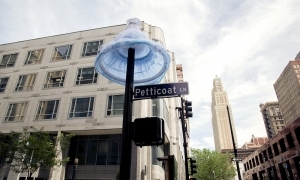 An undergarment in public view, a petticoat acts as a beautiful symbol for the complex negotiation and merging of the private as well as public presentation of the self. The sensuous imagery of this project softened the hard and primarily cast-concrete materials of the park environment. 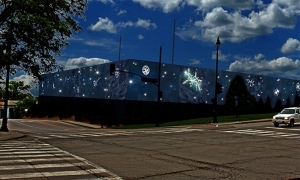 The photographic source imagery of mostly artificial representation of live subjects (flowers, berries, leaves) created the illusion of a vibrant flowerbed on the park wall. 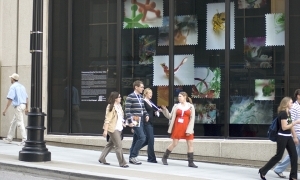 For the City Center Square window installation I drew inspiration from postage stamps and their function to commemorate people, places, and events. Featuring toys, ordinary household objects, and routine domestic scenes, the imagery celebrated the private everyday life in a public setting. The following concepts were created and submitted as part of an RFP process or as a Finalist Proposal.